Kindle fitness Deals for Sunday! 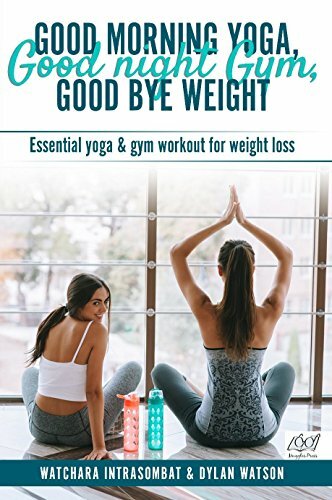 *GOOD MORNING YOGA, GOOD NIGHT GYM, GOOD BYE WEIGHT: Essential yoga & gym workout for weight loss by Watchara Intrasombat, Dylan Watson. Price: Free. Genre: Health & Fitness Book, Sponsor, Yoga, Non Fiction. Rated: 5 stars on 1 Reviews. 54 pages. ASIN: B01N5WXQ1J. Workouts:At-Home At-Work 365: The Most Effective, Convenient, and FREE Workouts on the Planet and Get Ultimate Results by Christopher J. Davis M.D., Anna G. Taylor. Price: Free. Genre: Health, Fitness & Dieting, Diseases & Physical Ailments, Physical Impairments. Rated: 4.7 stars on 7 Reviews. 65 Pages. ASIN: B01MTF59KV. Previous Previous post: Kindle Fitness Deals for Saturday! Next Next post: Kindle Fitness Deals for Monday!